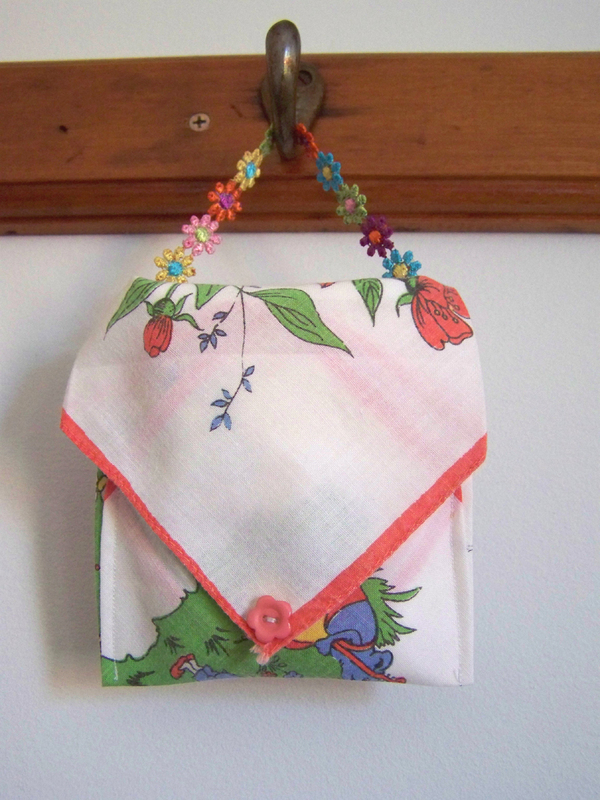 This craft project is wonderfully fast and a really lovely way to show off your favourite vintage hankies (or perhaps embroidered napkins). 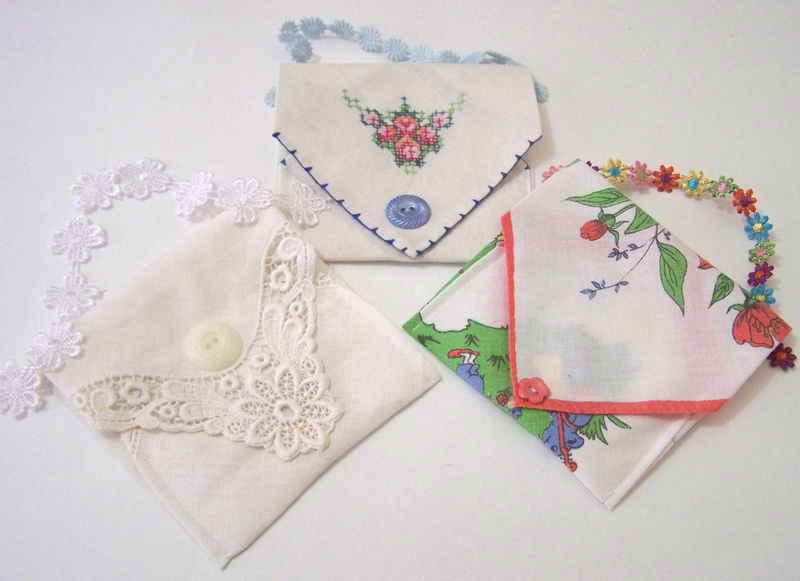 The finished envelopes would be a nice way to give a small gift or hang on the Christmas tree for vintage charm. 1. Iron the hanky flat with back facing up. 2. 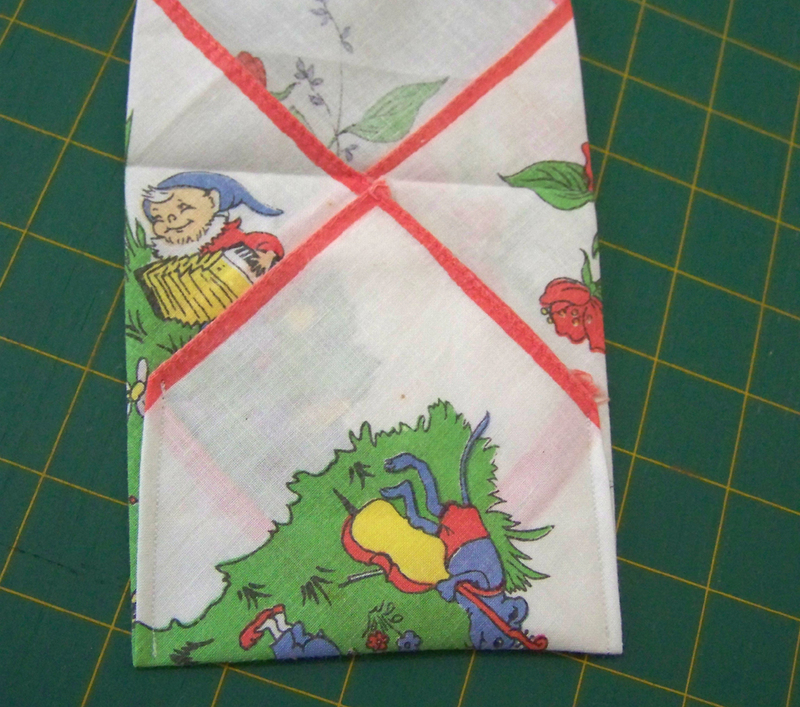 Fold in right side of hanky about 2/3rds of the way and press. 3. Fold in opposite side of hanky about 2/3rds and press. This makes two straight sides of an envelope. 4. 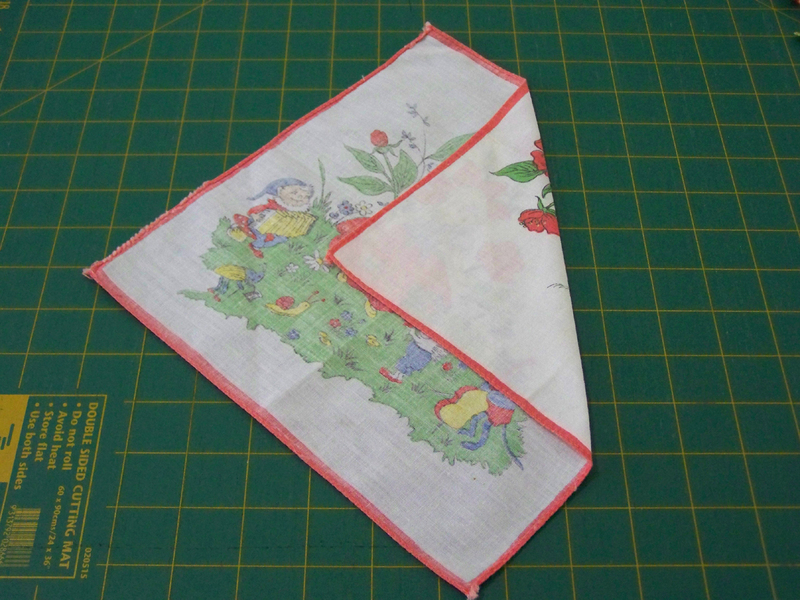 Fold up base point of the hanky to meet the overlap of the sides and press. This now forms an envelope base. 5. 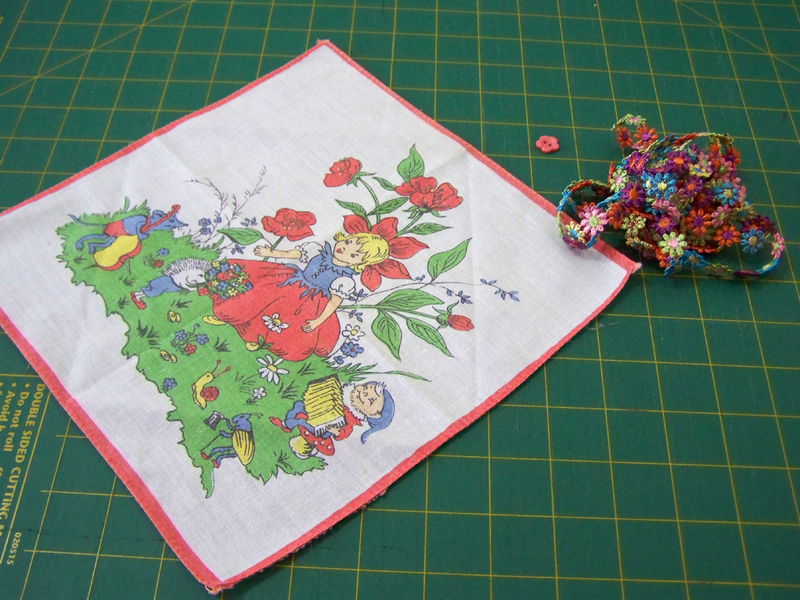 Using matching thread, machine stitch along both sides of the hanky to the join in each side. 6. Use a needle and thread and catch down the point at the top of the envelope to secure. 7. 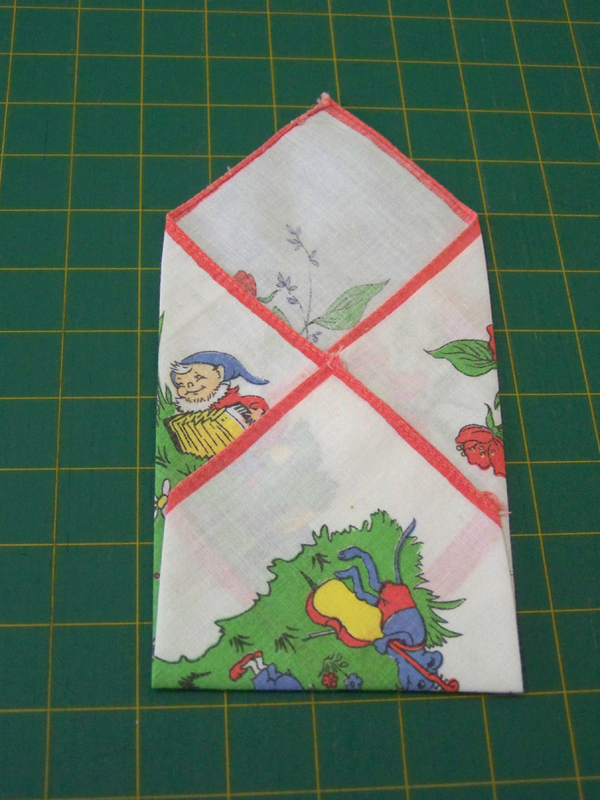 Fold the top point of the hankie down to meet the bottom of the envelope and press. 8. Stitch on a decorative button and a small length of daisy chain using matching thread to complete. 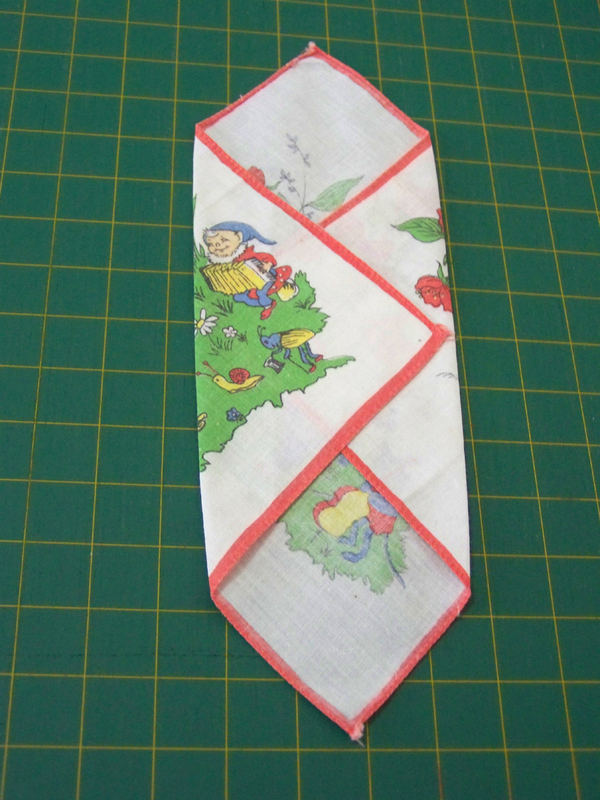 I tried two different hankies and a cross stitched table napkin (square in shape). All worked well. 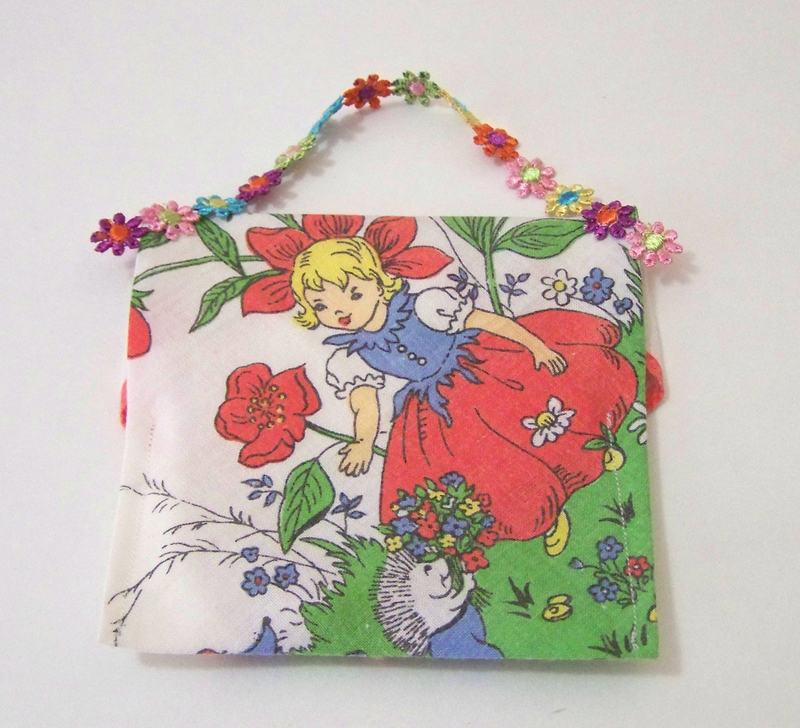 You could try leaving off the daisy chain or adding a snap fastener for extra security. 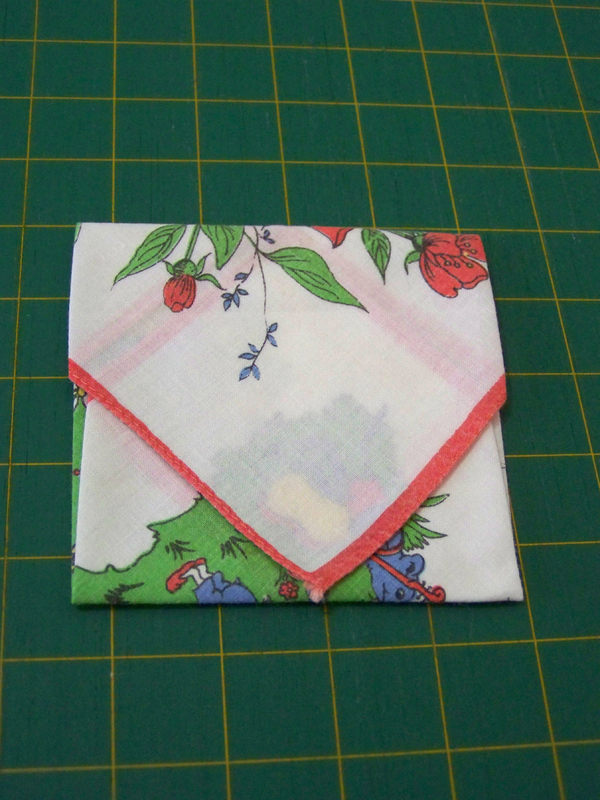 I absolutely love your hankie envelopes & will make them this year for Christmas. I like insects, fossils, amphibians, succulents and ferns. But I also like to sew.